Our super-popular 60 minute children’s caving and climbing party. 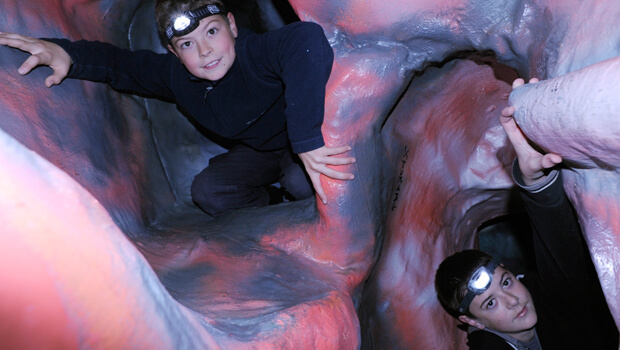 Let the kids have a subterranean adventure like no other in a safe environment! Ideal for boys or girls of any ability and wanting a party to remember in our unique cave and climb room. Great fun and suitable for anyone from the age of 5 years. All equipment is provided and no experience is necessary. Party food and room is available as part of the package. £155 for up to 6 children or £240 for up to 12 children per party slot. If you wish to book a Party of 12 – Please call 0344 880 8866 for availability and to make your booking.